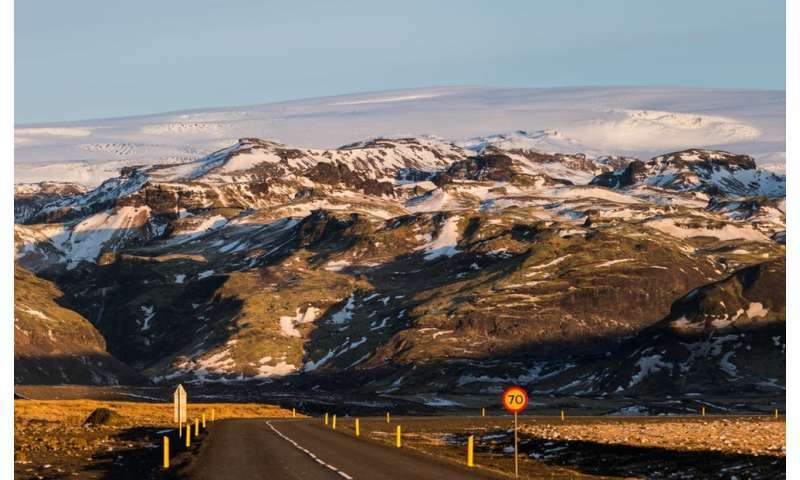 The Icelandic volcano Eyjafjallajökull made worldwide headlines in 2010 when it erupted ash that was blown towards Europe, so that air traffic was grounded across the continent. 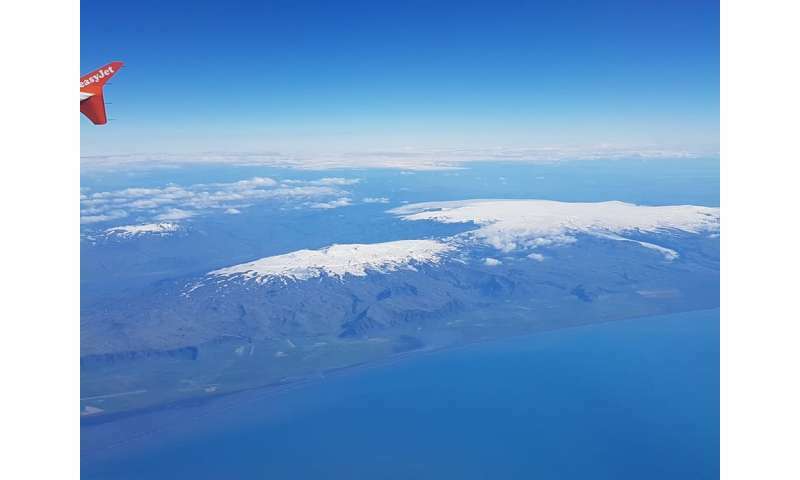 More recently, the volcano's bigger sister and neighbour, Katla, has also been in the news. First the papers said the "giant volcano" was ready to blow, yet within days articles were appearing to say it was all a mistake and the eruption news was premature. What is going on? Over the past 1,100 years, Katla has erupted at least 21 times—an average of around once every 50 years or so. It is exactly a century since the volcano's last major eruption through the ice, which produced a 14km high column of fragmented volcanic rocks and gas, as well as enormous floods of meltwater, sediment and ice. But this doesn't mean that another is "due". Volcanoes don't erupt to schedule. So why do headlines regularly appear to suggest this is the case? This latest news flurry was triggered by the publication of an academic paper by a team of scientists lead by Evgenia Ilyinskaya at the University of Leeds. They had carried out gas-monitoring surveys at Katla in 2016-17, which showed it emitted much more CO₂ than previously estimated. One of the exciting parts of this research was the recommendation that gas monitoring becomes part of the regular observations of volcanoes that are hidden under glaciers or ice sheets. 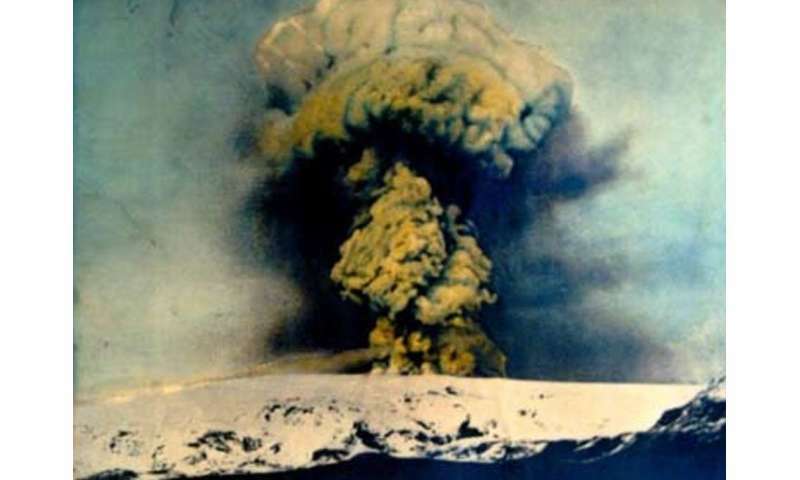 However, many news outlets incorrectly suggested that the observation of these carbon dioxide emissions meant an eruption was imminent, and sounded the alarm. This sensationalist approach causes more damage beyond merely being incorrect. From a distance, readers and viewers might be interested in the science, the human story, or because even faraway eruptions can have economic or health costs. But for those living in the shadow of the eruption, the immediate impacts are far more pressing, or even life-threatening. Evacuating from a region, moving family and animals, or leaving your house behind all require a degree of certainty that this risk is real and that it should be avoided. To believe a risk is real, information needs to be trusted and thus information providers need to be trustworthy. It should therefore be clear that accurate information is essential. Effective risk communication is needed before, during and after a hazardous event, aiming to prevent and mitigate disaster harm, ensure preparedness and aid recovery. Inaccurate information will of course mean people will have less faith in scientists and news sources next time round. But it can have more immediate effects too. In July 2018, the New York Times reported how exaggerated coverage of the ongoing Kilauea eruption in Hawaii lead to a vastly inflated risk perception which saw tourism bookings decrease, which in turn led to loss of income and fears about job losses. In the worst instances, poor information can cause people to ignore evacuation orders. The risks aren't easy to communicate. Hazards do not occur in an easy to predict way, they can happen with little warning, and risk assessments virtually always deal in probabilities rather than absolute certainty. Concepts such as 100-year floods are famously challenging to understand or relate to. In addition, risks to people are influenced by factors such as wealth, age, health, physical ability, whether you own a car, or which floor your apartment is on, so they can vary from person to person, house to house. Communicating this information therefore comes with responsibilities. By crying wolf too many times, even if the warnings aren't directly from scientists or the authorities, the media can strongly influence risk perception and create a warning fatigue. Journalists and editors must consider the ripple effects from an overly sensational news article, and the potential consequences for lives. It doesn't take long for inaccurate news to spread and multiply across the internet: see, for example, the volcanologist and science writer Robin Andrews having to call out and correct reporting of the recent earthquake and tsunami in Indonesia which often conflated it with an unrelated volcanic eruption 600 km away on the same island of Sulawesi. The flip side of this is that competent, reliable communications can boost public trust and reduce fear and panic, helping people to take well-informed actions. The International Journalist's Network published an article on disaster journalism that presents some useful guidelines, much of which emphasises accuracy. I'd also suggest that journalists checks their facts with the scientists doing the work, or with the local organisation responsible for monitoring the hazard. Journalists should also avoid simplifying the forecasting process too much, ensuring that a possible scenario or timeframe is not presented as something of certainty. Readers should always be referred to a reliable source of further information. These simple measures can be used as a blueprint for strengthening reporting accuracy, and so help regain trust in science communication and the media. Forecasts by prognosticators are moot and usually hysterically anile without doxastic comittment, skin-in-the-game, like Damocles Sword hanging overhead, hanging by the fraying Thread of Truth. When a failed forecaster is fired then perhaps some trust can develop. Until then it is #FakeNews and mere virtue signaling. Well then doug, you are saying that failed prognosticators, such at yourself, should be fired for their mistakes of judgement? I'm sure trumpella could arrange with his kissing bro, kimmy, to have you fired out of a cannon. I think it's stupid to shoot the messenger for bringing you news you do not want to hear. But that is why all you deniernazis and altright fairytails are actively suborning The Constitution with seditious zeal.